Dr Ros Vallings MNZM,MB BS. Often known as ‘ME’, Chronic Fatigue Syndrome is notoriously difficult to diagnose and treat, yet its effects are profound, and often prolonged and debilitating. Dr Rosamund Vallings has been helping those with this condition for more than 40 years. Drawing on the latest international diagnostic guidelines, she describes the process for accurate diagnosis and the difficulties entailed. Dr Vallings explains the illness and how it affects the body’s many systems and functions. She also provides advice on how to cope with the disorder on a daily basis and make the necessary lifestyle changes. As part of ME Awareness Month ANZMES is giving members and the general public the opportunity to view Dr Charles Lapp’s presentation held in Auckland on the 6th of April 2017. The first video is doctor Lapp’s lecture “An overview of ME/CFS Diagnosis and Management”, and the second video covers the question and answer time from this meeting. This presentation was held at the ANZMES Annual General Meeting in Auckland on the 26th November 2016. Dr Ros Vallings presentation focused on the IACFS Conference which was held in Fort Lauderdale, United States recently. Dr Vallings was presented with the Nelson Gantz Clinicians Award for Chronic Fatigue Syndrome/ Myalgic Encephalomyelitis at that conference. Some of the research that Dr Vallings covers in her presentation is how Glutathione impaired brain function in ME patients and how ME Patients have high protein levels in the CFS (Cerberus Spinal Fluid). She also covers how there is a difference in the molecular building blocks with ME/CFS patients known as 3 SNPS and much more. 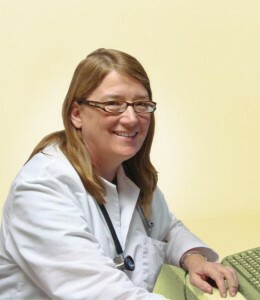 Immunologist, and top ME/CFS researcher, Dr Klimas talks about Chronic Fatigue Syndrome. This is a great resource for Doctors, patients and researchers alike. 3. A childrens booklet for those up to 13. 4. A booklet on ME that Dr Ros Vallings has written. ( The Turtle Booklet). The following information sheets are available Free to ANZMES Members and are $1.00 for non members. please send an email that includes the number of the information sheet/s you wish to order. A view on what to include and what not to include in the diet of people with ME/CFS in order to achieve balanced nutrition. Dr Vallings talking about sleep and how sleep disturbances can be treated. Stress if not brought under control can seriously damage your health. Read about the mechanisms involved and the coping strategies. Finding a way through the Work and Income New Zealand requirements can be difficult. What are the effects of pregnancy and childbirth on ME/CFS? Is there any specific risk to the baby? How do you manage after the baby is born? Information and advice about when to start work again and touching on subjects like communication with employers when you are working and not feeling well. Dr Vallings has written this information on good nutrition for ME/CFS and how important a balanced diet is for better health. Is there evidence that people with ME/CFS suffer from vitamin deficiency? Are supplements of any value to people with ME/CFS or can taking supplements including vitamins harm your health? Looks at the pros and cons of the most popular alternative treatments on offer for ME/CFS. Dr Vallings talking about ME/CFS and weight problems whether the person is too light or overweight. One of the problems experienced by ME/CFS suffers is the difficulty in taking exercise. Understand how to pace your activities and prevent relapse. Amitriptyline at low dosage can be tried for muscle, joint or nerve pain relief when ordinary pain-killers are not effective and can sometimes help with sleep problems as well. Describes both pros and cons for this medication. Most ME/CFS sufferers will experience cardiovascular effects of one sort or another, this is due to a variety of reasons and this information sheet covers explanations and hints as how to cope. Many people get confused over the difference between the two, read about how to understand the difference. An introduction to ME/CFS. What makes ME/CFS different from other possible causes of chronic fatigue? A look at the other main symptoms, and the prospects for recovery. Read how with a little pre-planning, you can actually enjoy travelling again with ME/CFS. Because stress frequently triggers a flare of symptoms, planning ahead is the key to making your trip an enjoyable experience. Skepticism has been a problem for people with ME/CFS for a very long time. One of the hardest things for those with ME/CFS is the issue of “no-one seems to believe I am ill”. ME/CFS is just like any other illness it has physical and mental aspects. 20 Helpful suggestions for families and carers, when you don’t apparently look ill to them. A major difficulty for ME/CFS suffers to overcome is that from outward appearances they do not look ill. A look at some of the comments to contend with and answers. Dr Vallings guide for young people with ME/CFS. 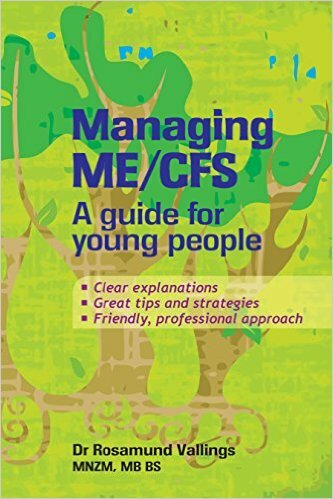 A guide for teachers providing information on young people and ME/CFS, exams, study and prognosis. A guide for parents providing information on young people and ME/CFS, friends, exercise and prognosis. A guide for young people providing information on school, friends, exercise and prognosis. Dr Vallings explaining visual problems and treatments that some people with ME/CFS experience. Dr Vallings has written this information sheet explaining mouth or dental problems that those with ME/CFS can experience. Gum or tooth infection has the potential to cause ongoing immune activation and the symptoms of prolonged ME/CFS. This is a reprint of Dr Charles Shepherd’s recommendations with an introduction by Dr Vallings which appeared in the August edition of the IACFS/ME newsletter. Dr Vallings looks at the problems related to the three organs which provide three of our principal senses: hearing, smell and taste. An information sheet looking at various pain that people with ME/CFS can experience, with explanations on treatments involving both drug and non drug approaches by Dr Vallings. Dr Vallings takes a look at the many gastro-intestinal tract problems that can occur in those with ME/CFS. Dr Vallings explains that depression is an illness like any other and can be treated successfully. Evidence indicates that many ME/ CFS patients display symptoms associated with orthostatic dysfunction. The orthostatic intolerance that is most commonly occurring in ME/CFS is called postural tachycardia syndrome or POTS. Abnormal neurological pathology affect cognitive functioning in Young ME CFS patients, creating confusion, memory and concentration problems and more. Dr Vallings discuses implications on school work and methods to aid mitigation of these effects. Female hormones and HR: discusses diagnosis of menopause; common symptoms experience among ME/CFs patients and the management and treatments available (ME Association of UK has kindly given permission to print and supply).